I wanted to take a little something to the office and this Cowboy Coffee Cake sounded perfect! It literally came together in 10 minutes and I easily cut the recipe in half, an 8x8 baking dish works fine. Everyone loved it! Especially the crumbs on top. Mix flour, salt and brown sugar. Cut butter in until crumbly, I used a fork. Set 1/2 C mixture aside. Add the rest of the ingredients, mix well. Mine stayed a tad lumpy. Sprinkle the top with reserved mix. Bake at 375 for 25-30 minutes or until a toothpick comes out clean. What do you mean you're taking it to the office??? store it in the fridge and then bake it in the morning... Doesn't get much easier than that! I love when the words "delicious" and "easy" appear in a recipe. Also love something that is quick to put together and have warm from the oven when the household rises. Thanks so much for letting me know you tried it. I'm so happy you enjoyed it. Your picture is making me hungry. Guess I'll have to make Cowboy Coffee Cake again real soon. I am your newest follower. I hope you'll stop by Posed Perfection again soon and maybe even "follow me" back. Have a great day! Yum! That really looks great, Lynn. A true, simple coffee cake..perfect! I do hope you at least gave Earl a sample! Looks great... gonna have to make this for my family soon. Yum! This sure looks delicious. I would love to try it at home. The recipe looks like its easy to follow. Thanks for sharing. I love coffee cake and this one looks good and easy! First of all, I love the Corelle plate :) This cake looks delicious and easy, and since I rarely bake that is what I like! YEAH!What do you mean,"take it to the office".I'm with Earl on this one,save it all for us...where's mine,you know what this means?? ?I got to "pin" to pinterest,and cook one for myself!!! I have been a subscriber for several months and I really enjoy all the variety you include, especially your recipes. It's nice to see you cut down the size of some of them, as we are empty nesters and have very little will-power. I love that grape pie you made recently. It was a work of art. Yummmmm! Will be trying this one. Love recipes with stuff that I always have on hand, and this is one of them. BJ made me laugh about eating brown sugar with a spoon because I do too. Nice treat for your office! Looks so good, especially the crumbs. What a nice quick cake to bring to work. I bet you were very popular that day. The cake looks great. I want a big piece. Love grape pie, too! I used to make them back when I had grapes out back. 1. my beans that were eaten by bunnies (my first crop) have rejuvenated and I am harvesting beans from them! It's like the bunnies just kept them cut back so they would produce again!??? 2. I made the pickled jalapenos! What fun! I did take out seeds and membrane - cut off the caps into the sink, and then cored out the middle with my veg. peeler. Usually I cry and sneeze when I cut up jalepenos, but this method really helped! Then I sliced and pickled. Wish I worked with you, I bet they were fighting over it! It looks quite yummy! Wonder why it's called cowboy cake? I love seeing those plates - they remind me of my Grandma! Looks delicious! Great with a cuppa! I made something crumby this week too. I have to post it. Love an easy cake and one with crumbs on top. I say yummy! I am a coffee cake lover, especially one that I can make the night before and bake off in the am! 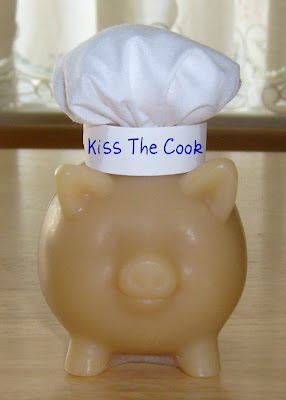 Thanks for sharing this great recipe at TUTORIALS TIPS AND TIDBITS! I wish I worked at your office! Looks soo good! I'd only eat one piece and send it to the office with Hubby because I am a total sucker/pig about coffee cake! Love that you said it's easy! Those are the best kinds, lucky coworkers. I'm with Earl! My yogurt this morning is going to be very unsatisfying :) I love a recipe you can throw together at night and bake in the morning. Yummy! I pinned this recipe. I am your newest follower.